Antique maps of the American continent and regions. 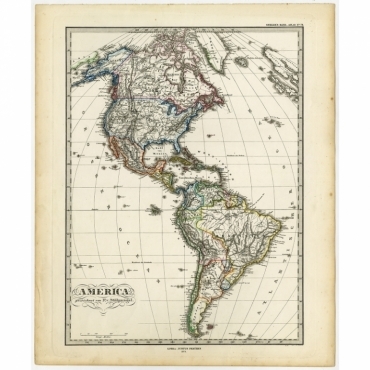 Wide range of antique maps of America from the 16th to the 20th centuries. 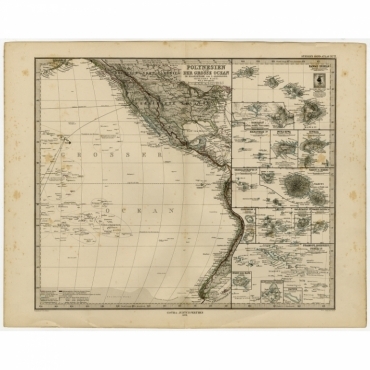 Our collection of antique American maps includes antique maps of Canada, Mexico, United States, Brazil and many other regions of the American continent. Antieke kaarten van het Amerikaanse continent en regio's. Grote collectie antieke kaarten van Amerika van de 16e tot de 20e eeuw. In onze voorraad vindt u onder andere antieke Amerikaanse kaarten van Canada, Mexico, de Verenigde Staten, Brazilië en vele andere gebieden van het Amerikaanse continent. Antique Maps | America There are 135 products. 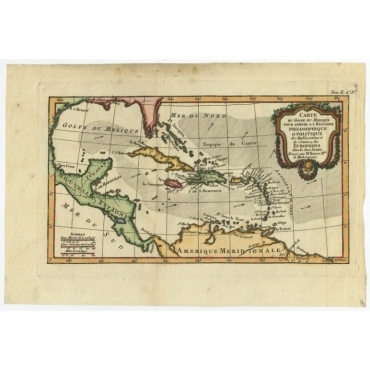 Map: 'Amerique ou Indes Occidentales ...' (Map of America or the West Indies). Antique Map, titled: 'Canada, New Brunswick &c.' - Map of the South-West of Canada. This includes Quebec, New Brunswick, and Nova Scotia. Major cities included are Montreal, Ottowa and Quebec. An inset map shows the eastern end of Nova Scotia. The mouth of Lawrence River is shown, as well as Lakes Erie, Ontario and Huron. 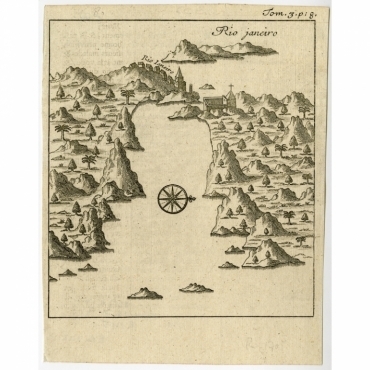 Antique print, titled: 'Rio Janeiro' - Bird's-eye view of Sao Sebastiao do Rio de Janeiro and Guanabara Bay, Brazil. 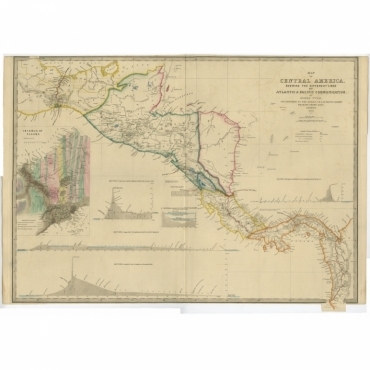 Antique Map, titled: 'Mexico and Guatemala, showing the Position of the Mines.' - Map of Central America, showing Mexico and Guatemala, as well as Jamaica and the Cayman Islands. Gold and Silver mines are indicated, as well as provincial mining stations. 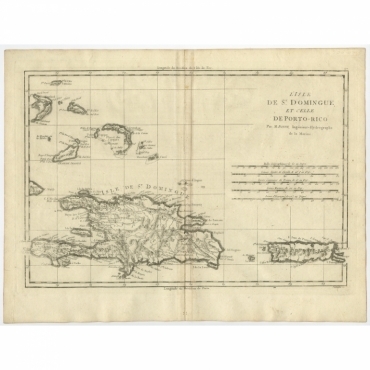 Antique map, titled: 'The West Indies.' 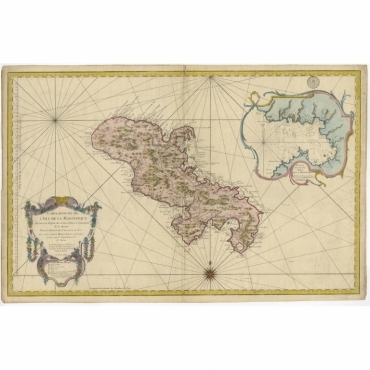 - A map of the West Indies, the Carribean region. This includes the Greater Antilles (Jamaica, Haiti, Puerto Rico and Cuba) and the Lesser Antilles (Leeward and Windward Islands) and part of the Bahama Islands. Inset maps show the Panama Canal, Kingston, Havana, Trinidad, Puerto Rico and Jamaica. 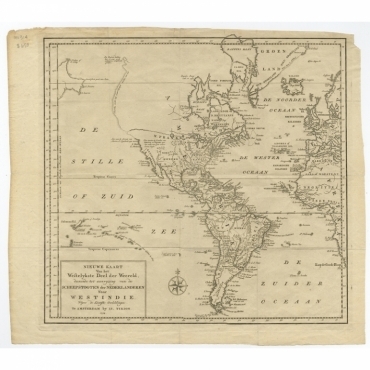 Antique Map, titled: 'America' - A map of North, Central and South America. 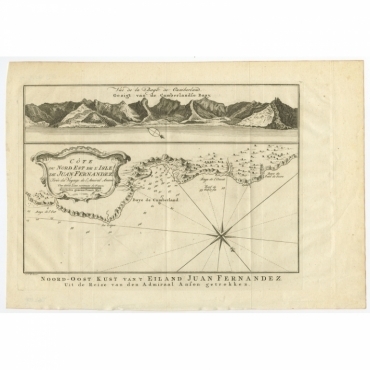 Antique print, titled: 'L'Isle De St. Domingue, et celle De Porto-Rico.' - Detailed map of Santa Domingo, Puerto Rico, etc. Includes substantial topographical detail. Includes Eastern Bahamas. Antique print, titled: 'Carte de l'Isle St. Christophe pour Servir a l'Histoire Genle. des Voyages.' 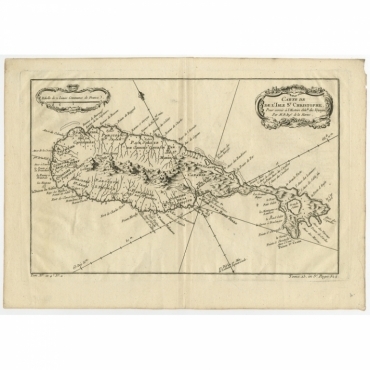 - Detailed map of the Island of St. Kitts, showing the Parishes, towns, rivers, topogrpahical details and anchorages along the coastline. Antique print, titled: 'Extremite Meridionale de l'Amerique.' 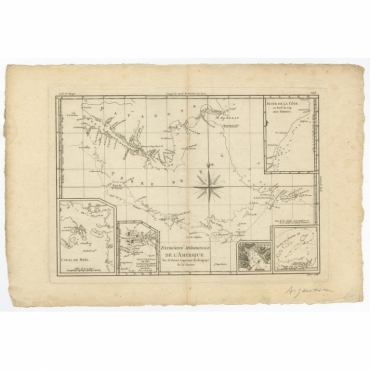 - Copper engraved map of Tierra del Fuego and the Strait of Magellan with five detailed insets of the region showing soundings, anchorages, etc. Engraved by Andre. 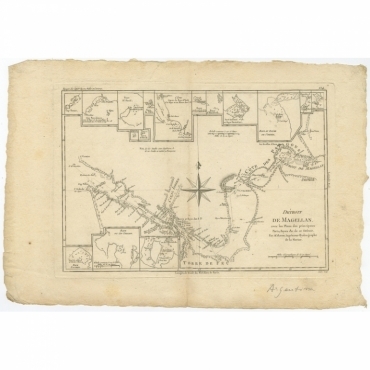 Antique print, titled: 'Carte de la Guiane.' - A map of the Guyanas - present day Guyana, Suriname and French Guiana, including Paramaribo and Cayenne. Antique print, titled: 'Nieuwe generale kaart van Amerika volgens de laatste ontdekkingen van Cook.' - Map of the American continent. 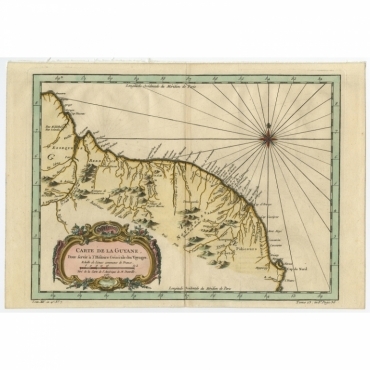 This map focusses on the voyages and discoveries of Captain Cook and includes an inset of Alaska and the northeast coast of Asia.